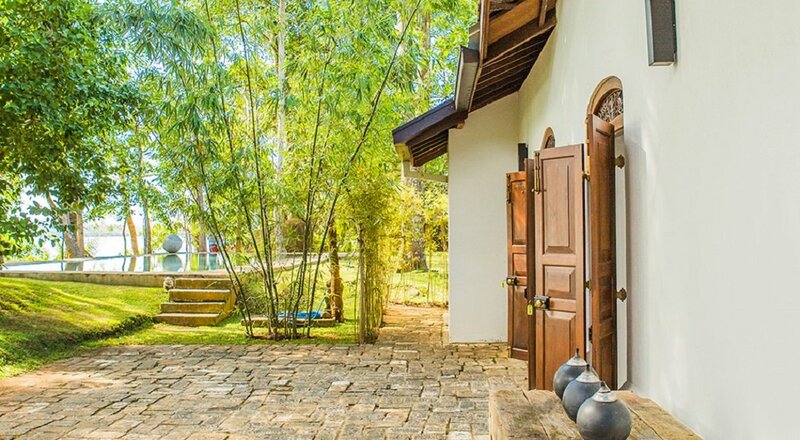 Peaceful Villa by the river, five minutes to Hikkaduwa surf breaks. 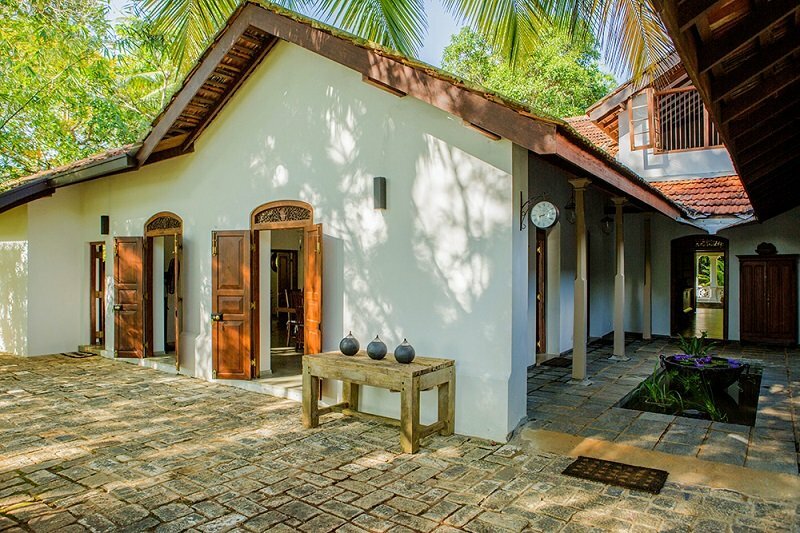 Beautiful Villa in Hikkaduwa, 5 minutes from the beach. 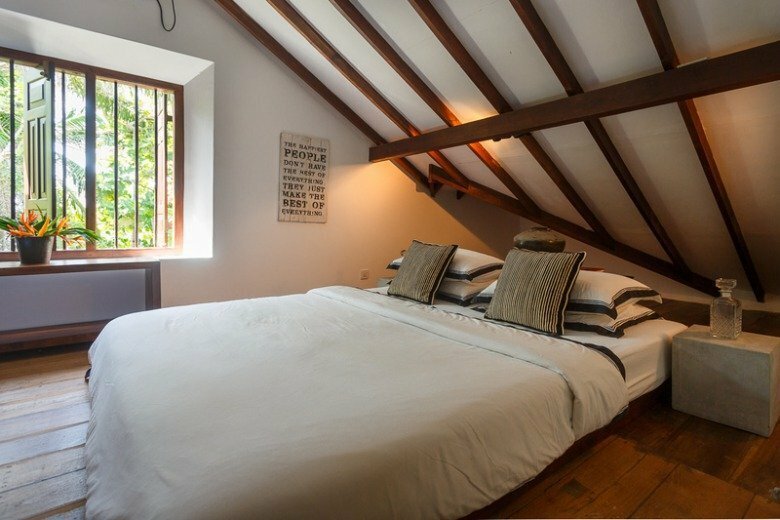 Sleeps: 6 Adults and 2 kids. 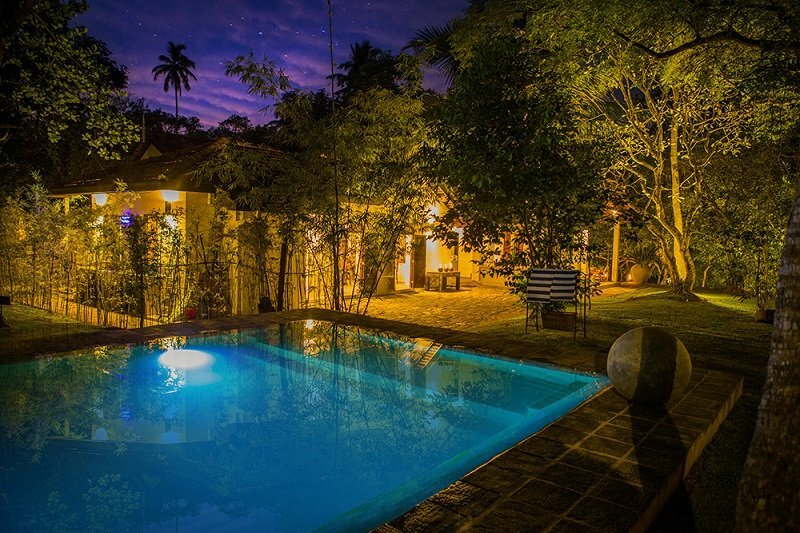 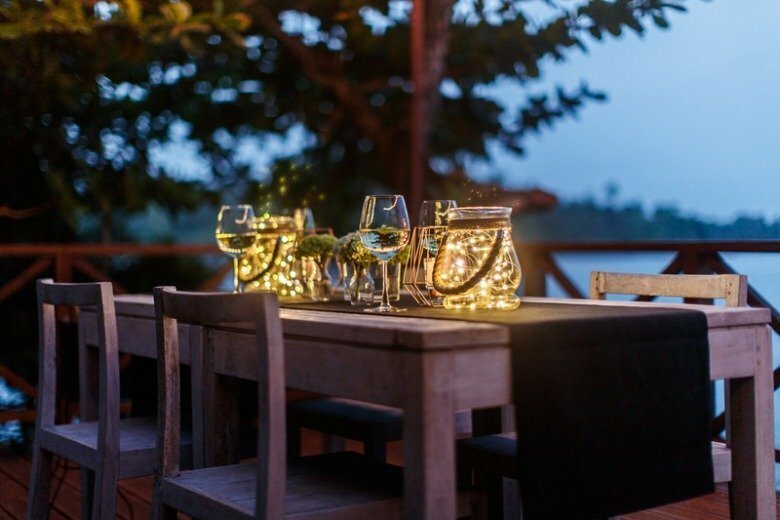 Deep in the South of Sri Lanka, in a quiet little village named Dodanduwa (25 minutes drive from Galle town), where life is still steeped in culture and tradition, there lies a charming little private villa in Hikkaduwa, ready to welcome visitors for short vacation rentals. 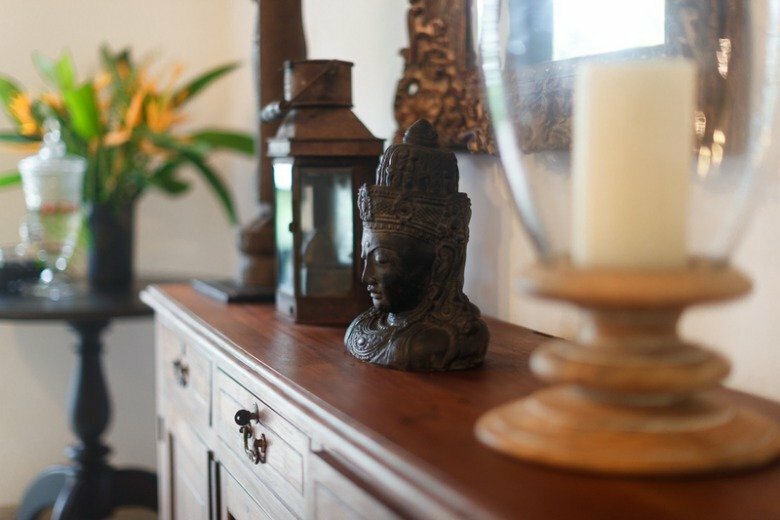 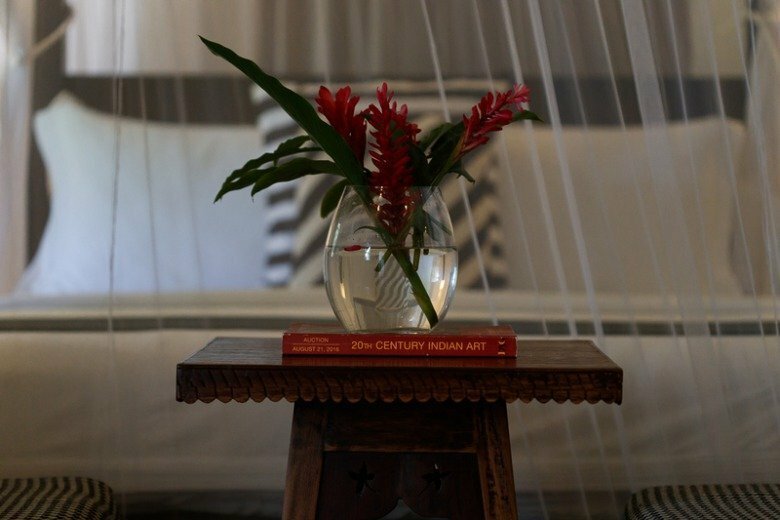 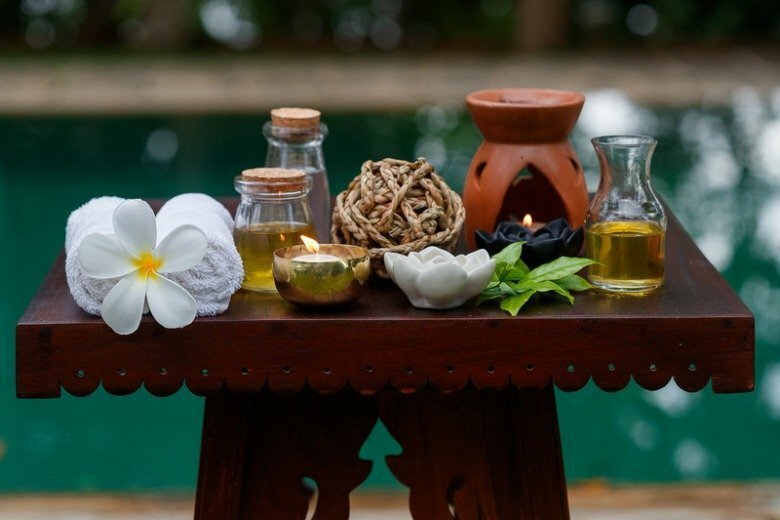 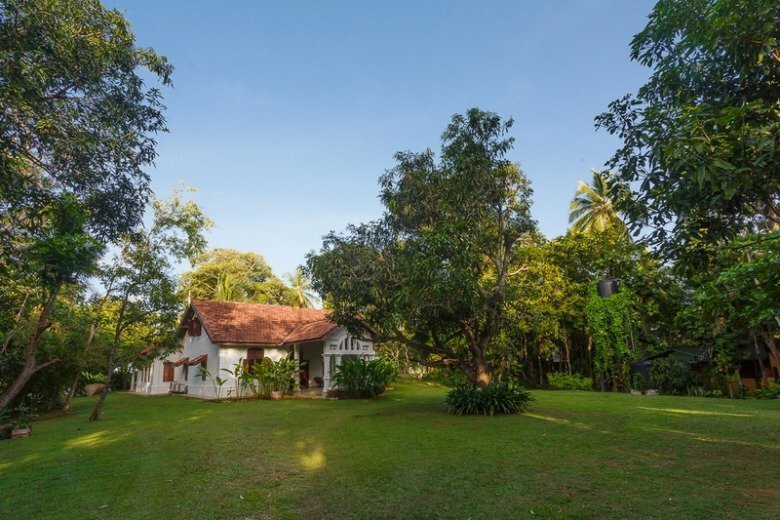 Originally a coconut plantation house which dates back to over 130 years, the bungalow belonged to the Perera family who were founding landowners in the area. 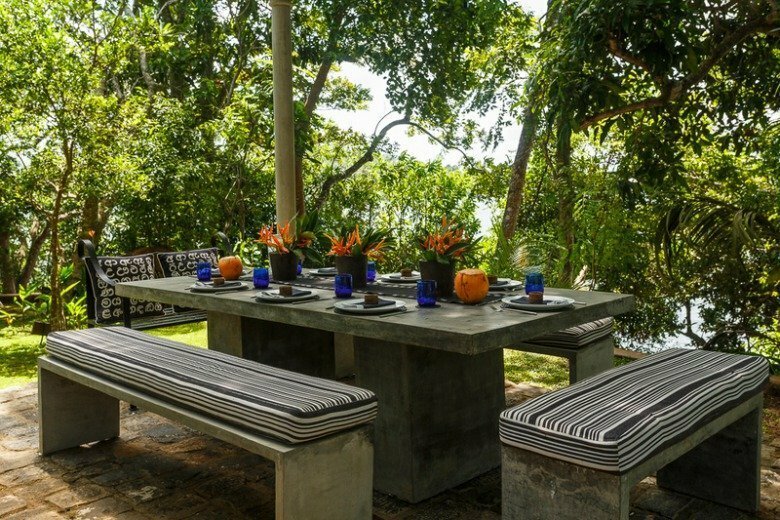 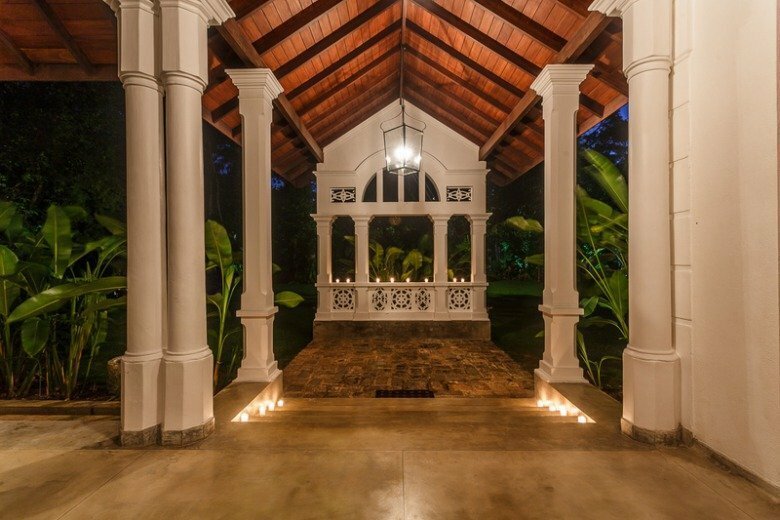 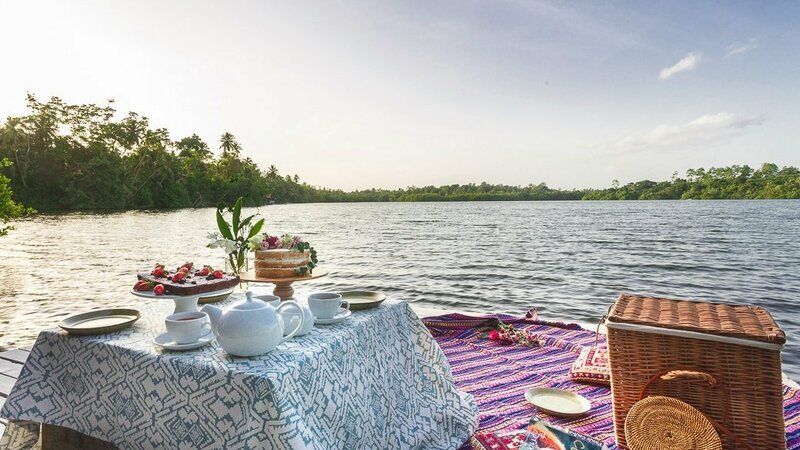 Once bought over by its current owners, the Anverally family, the garden was landscaped by Sri Lanka’s most famous landscape artist Laki Senanayake while the house itself has been renovated by Amila De Mel who trained under renowned architect Geoffrey Bawa. 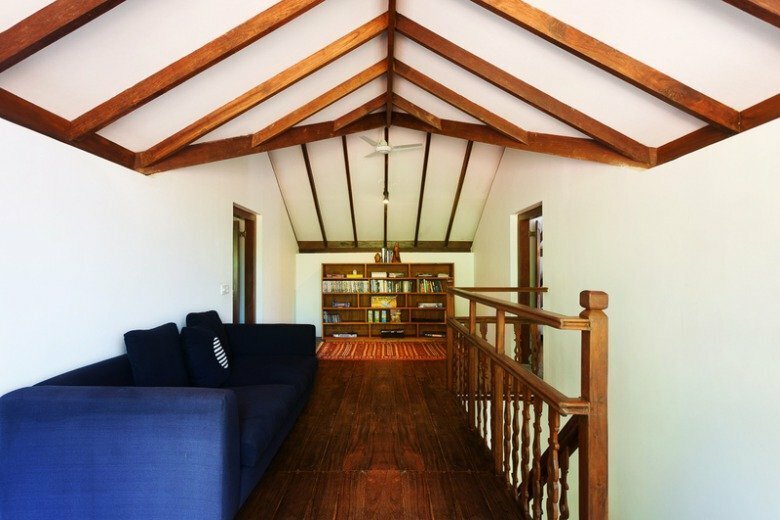 The rustic charm of the interior of the house offers a cosy, comfortable stay for visitors. 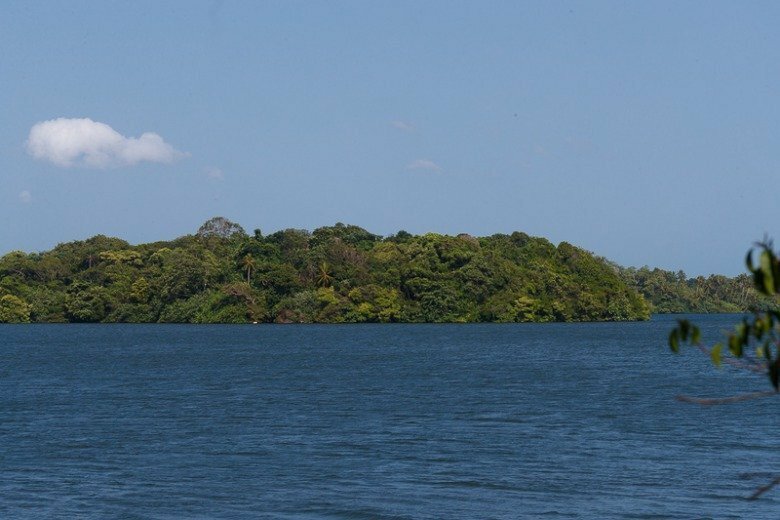 The lake is dotted by many islands that can be visited by a short boat ride. 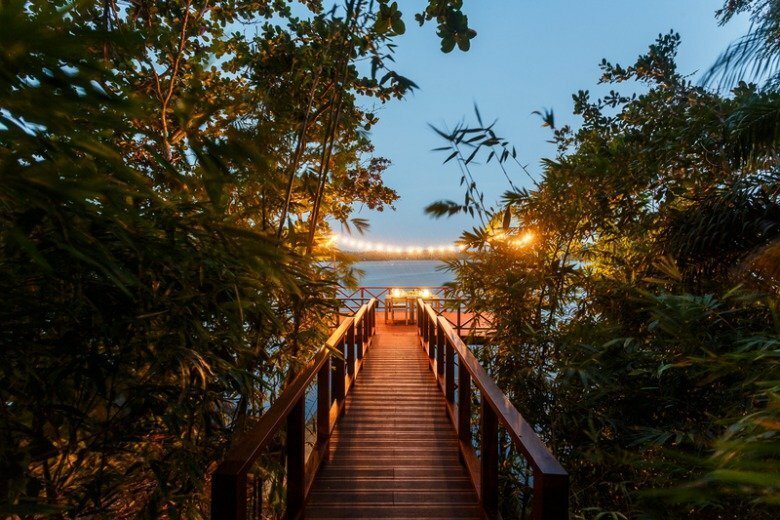 Recommended is a visit to the famous temple located on an island downriver. 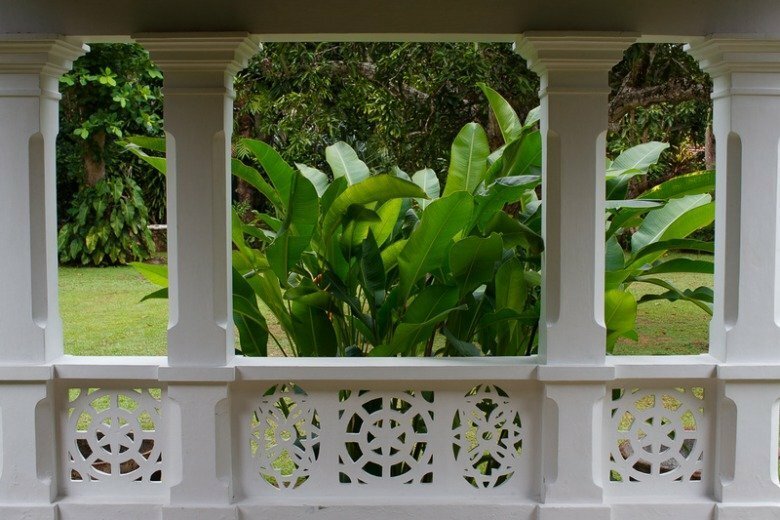 A variety of birdlife can be seen in the gardens of the bungalow. 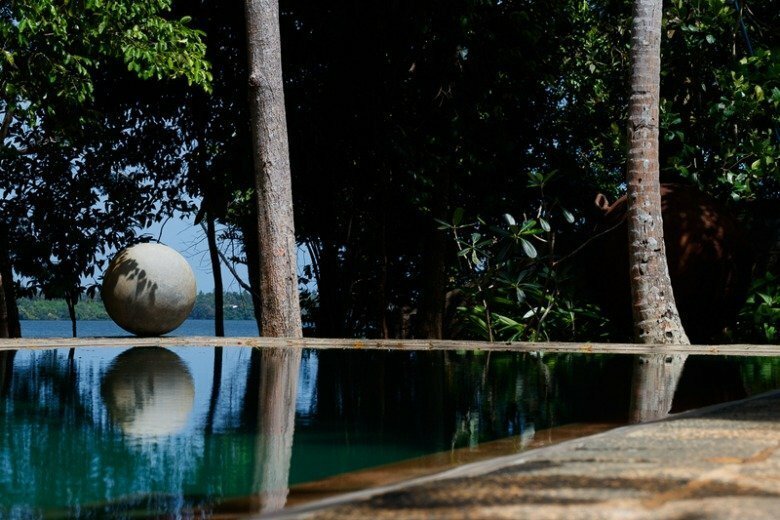 Even peacocks enter the gardens from time to time. 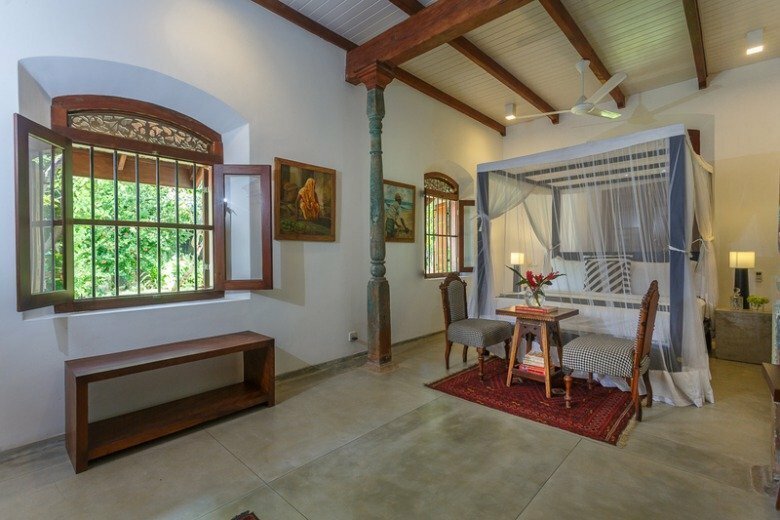 Small mammals such as rabbits, water monitors and squirrels can be seen around the bungalow. 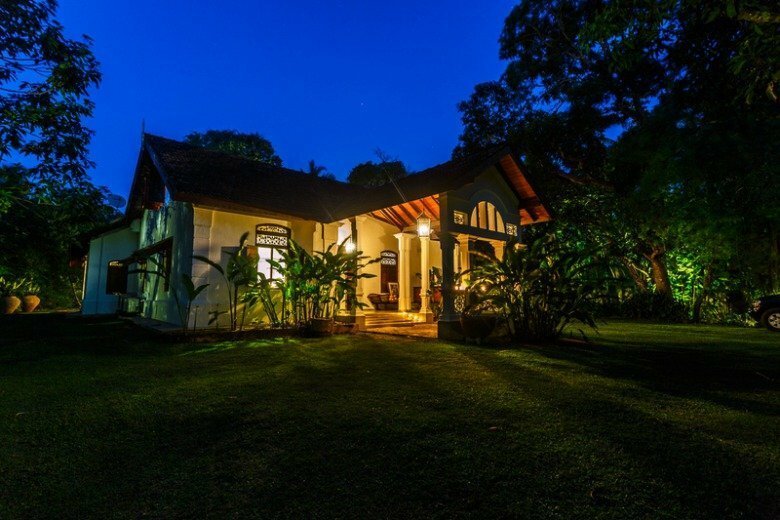 The Bungalow consists of 3 bedrooms with en-suite bathrooms, living and dining areas, a patio and a salt water swimming pool. 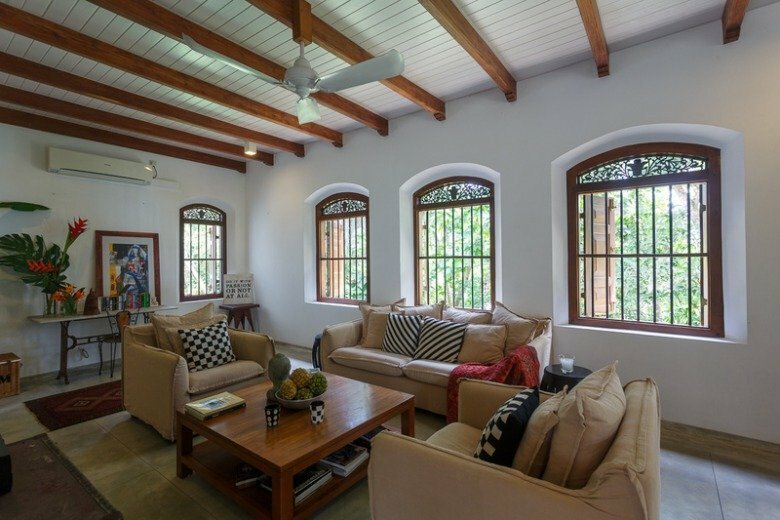 Two bedrooms are double and one is a family room. 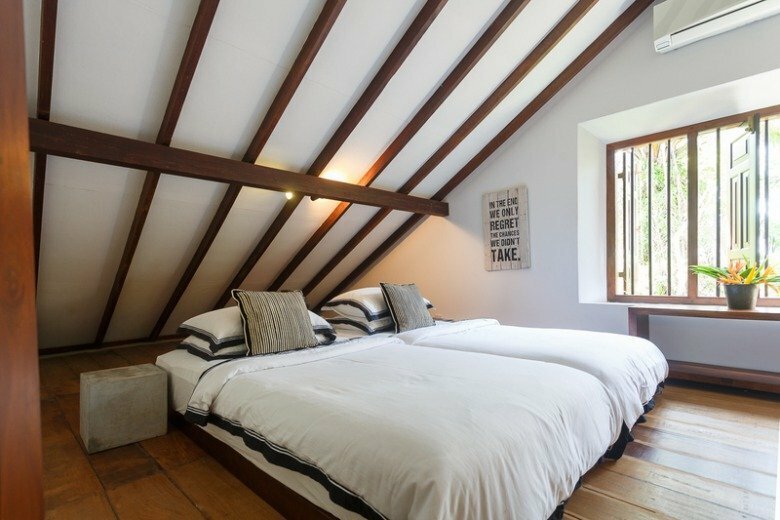 The Family Room has 3 beds and sleeps up to 4 guests. 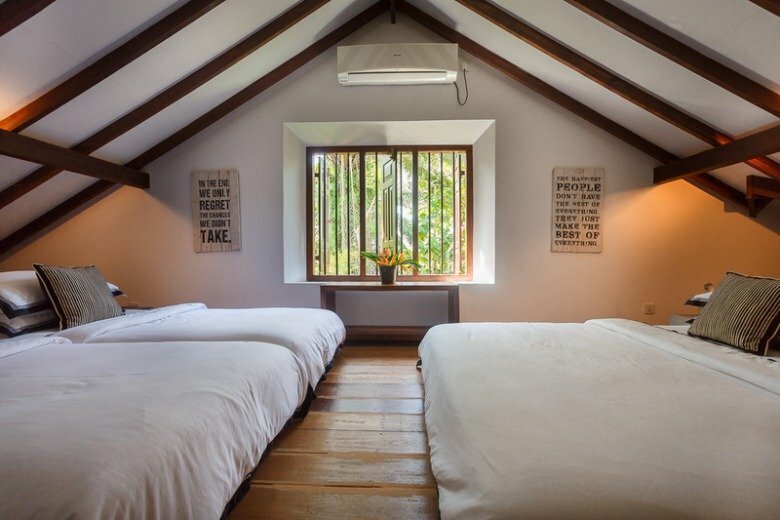 The interior-designed bedrooms are airy, comfortable and fully equipped with modern amenities such as air conditioning, cable TV and wi-fi. 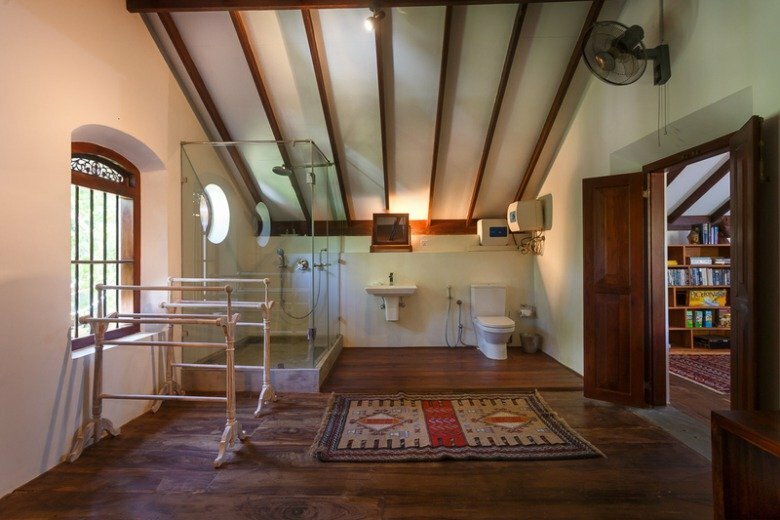 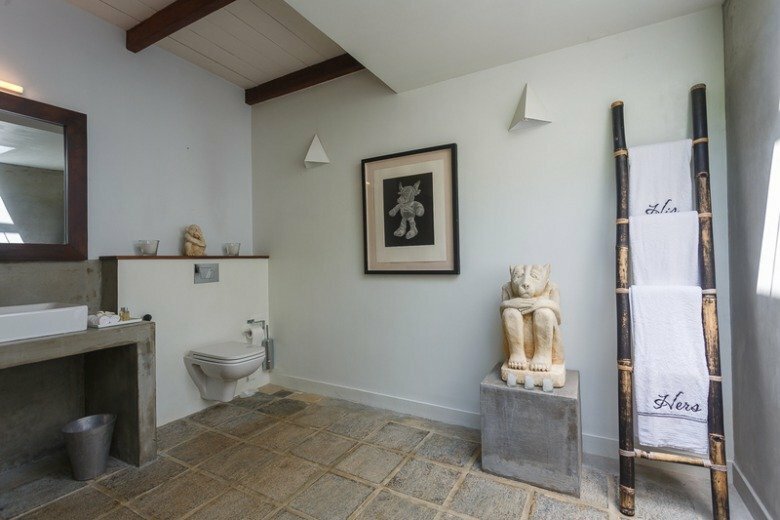 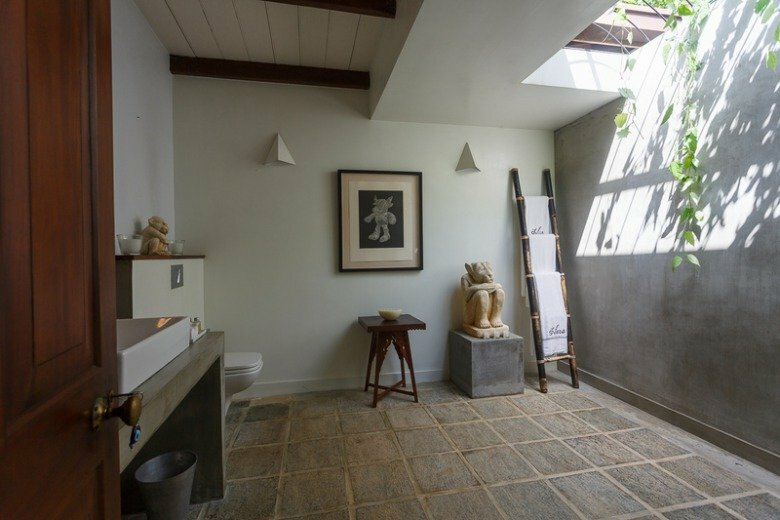 The rustic bathrooms are equipped with hot water showers and baths. 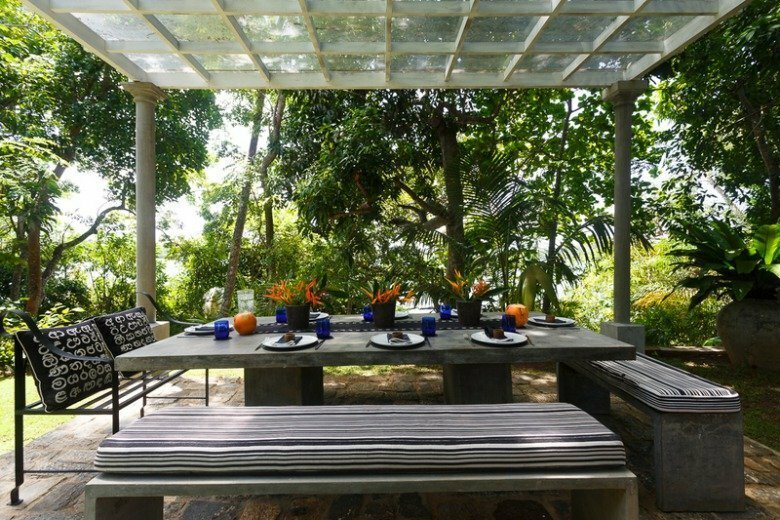 The elegantly laid dining area designed for family gatherings and enjoyable mealtimes can seat up to 8 guests. 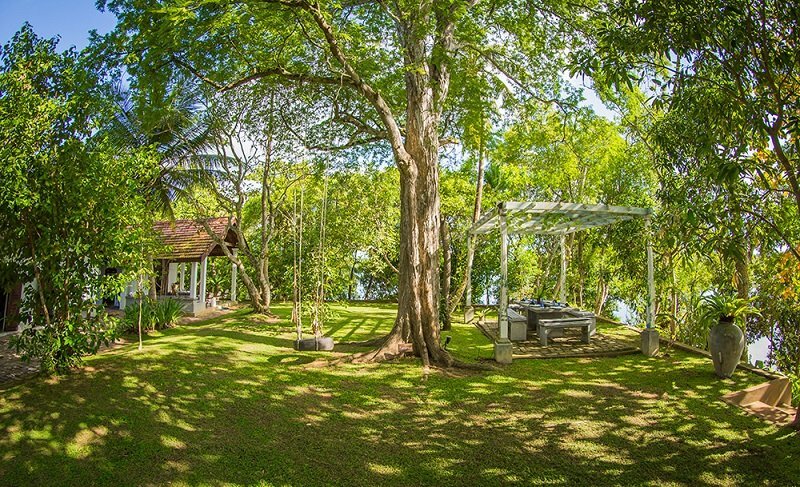 The salt water pool, which is in the back garden of the bungalow, has been built strategically a few feet from the patio in close proximity to the lake offering breathtaking vistas of the natural surroundings. 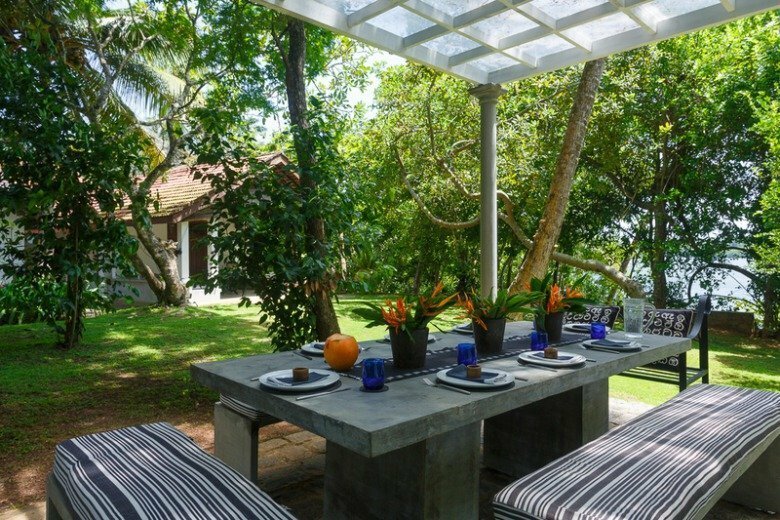 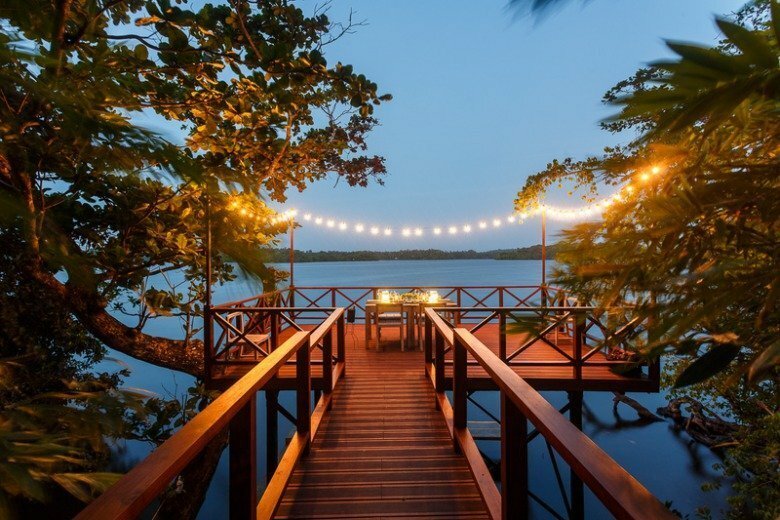 The patio at the back of the bungalow looks out over the tranquil waters of the Ratgama lake. 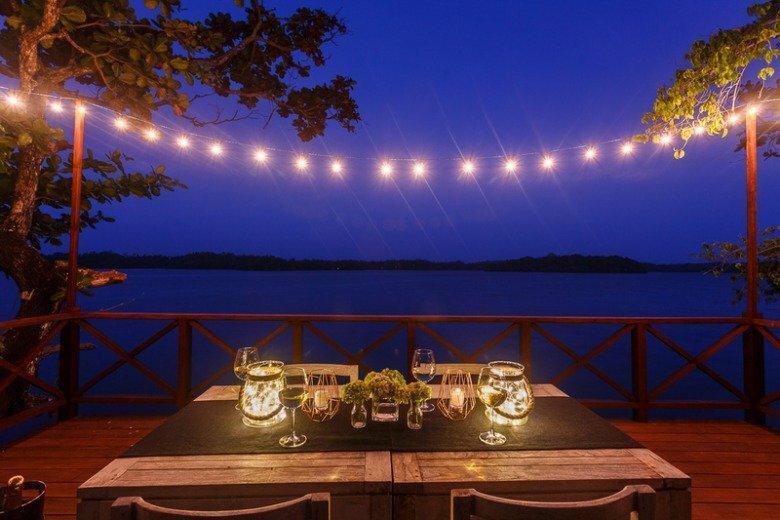 The perfect spot for enjoying a beautiful sunrise and an exquisite sunset, the patio is ideal for a quiet evening with good company and a bottle of wine. 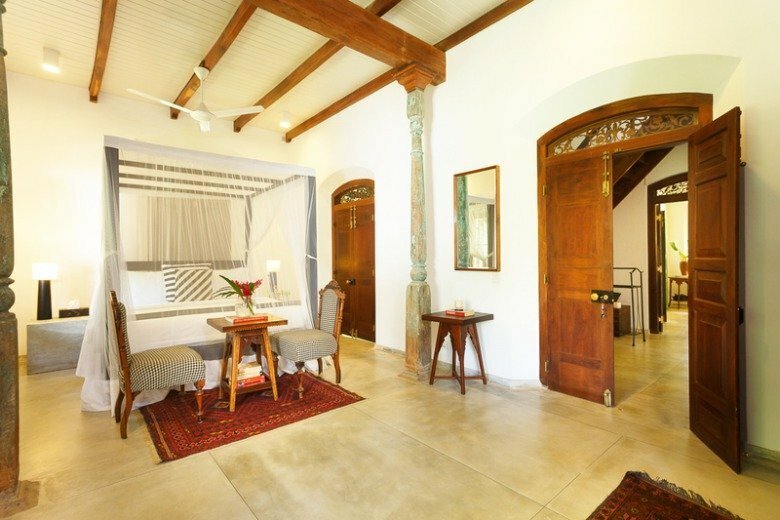 A charming, local couple from the area act as housekeepers and cooks and provide delicious meals prepared to guests’ preferences. 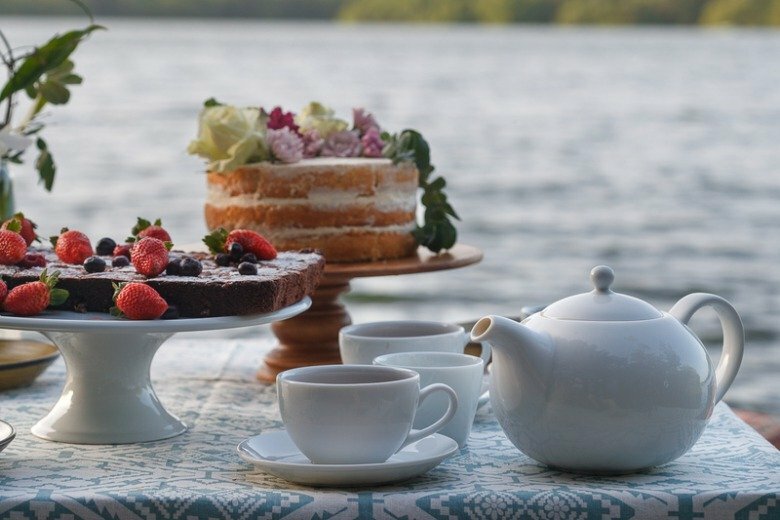 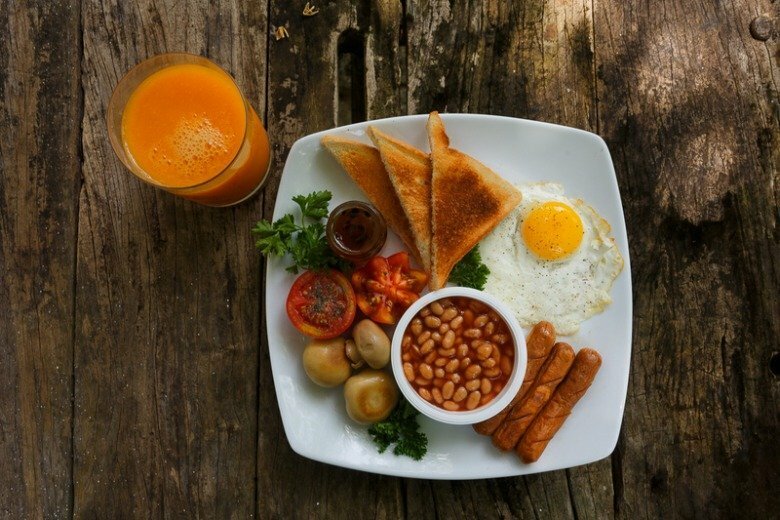 Breakfast will be provided in the mornings and guests can decided what they would like for lunch and dinner and inform the couple. 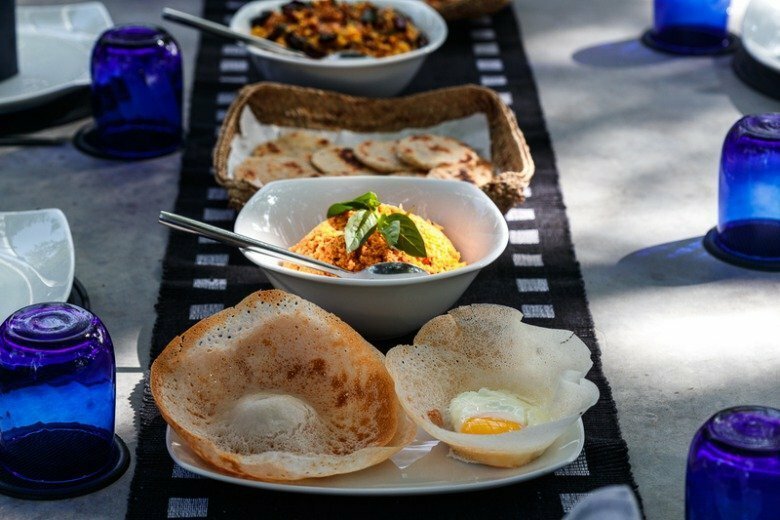 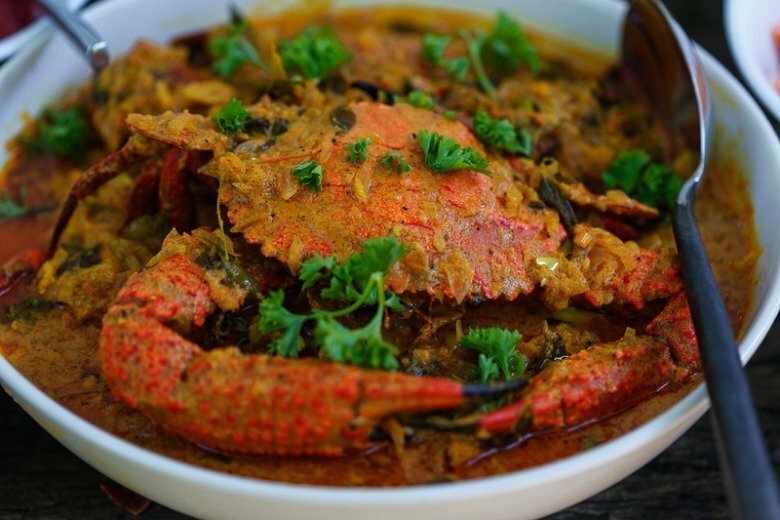 While the popular choice of food is Sri Lankan, the cooks will be glad to accommodate any specific tastes when possible. 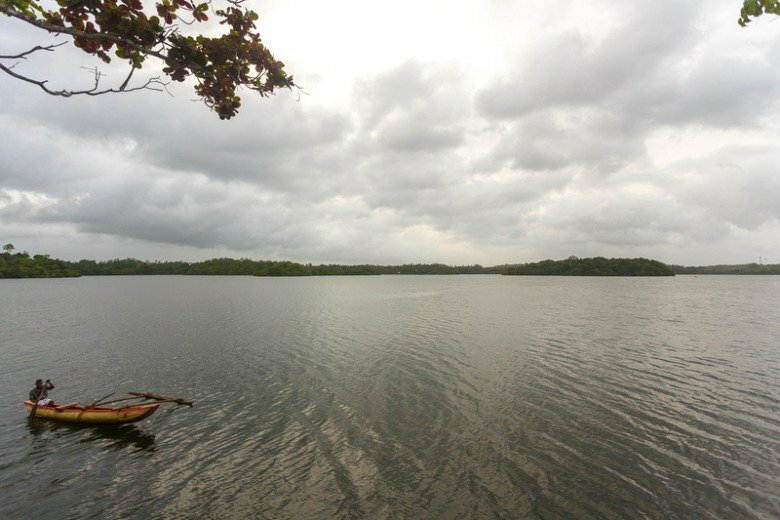 Relaxing boat rides on the lake, fishing and even canoeing, could be arranged upon request. 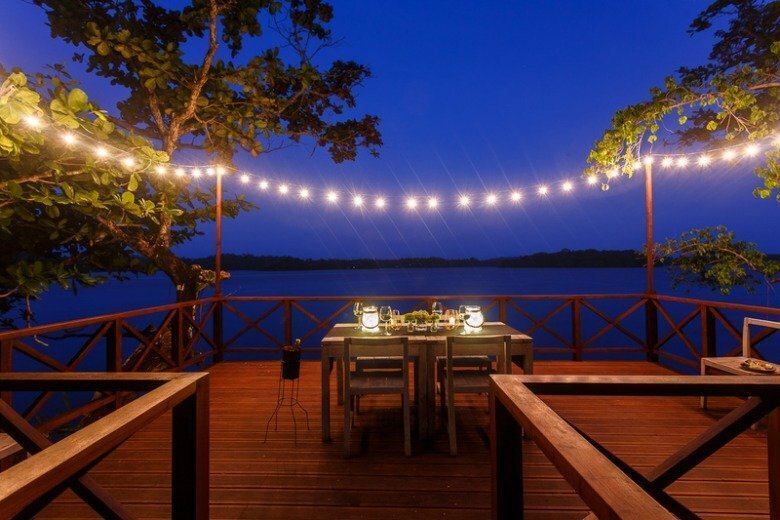 Or you could just sit on the patio and watch the fishing and tourist boats go by. 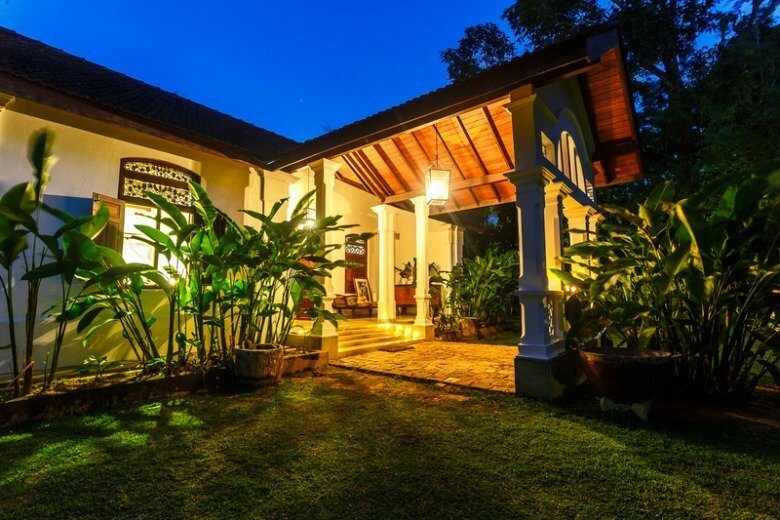 While the bungalow is private and cannot be accessed by outsiders, the charming view and setting from the lake has made it somewhat of a tourist attraction. 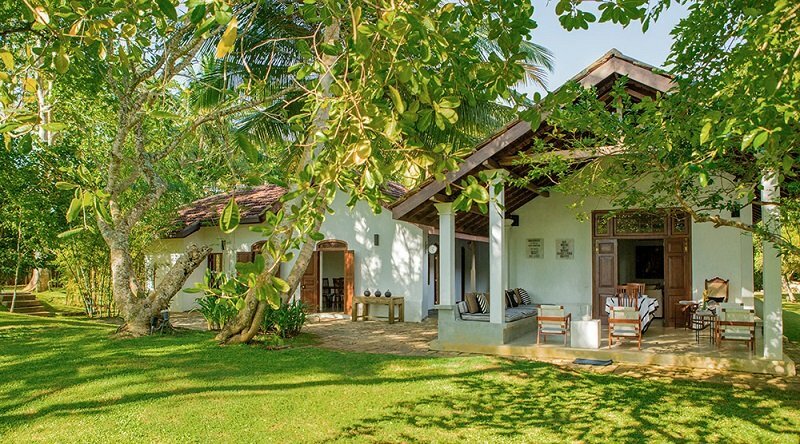 GALLE FORT: The village of Dodanduwa is situated just 15 minutes from the historic southern town of Galle, which is the fourth largest city in Sri Lanka. 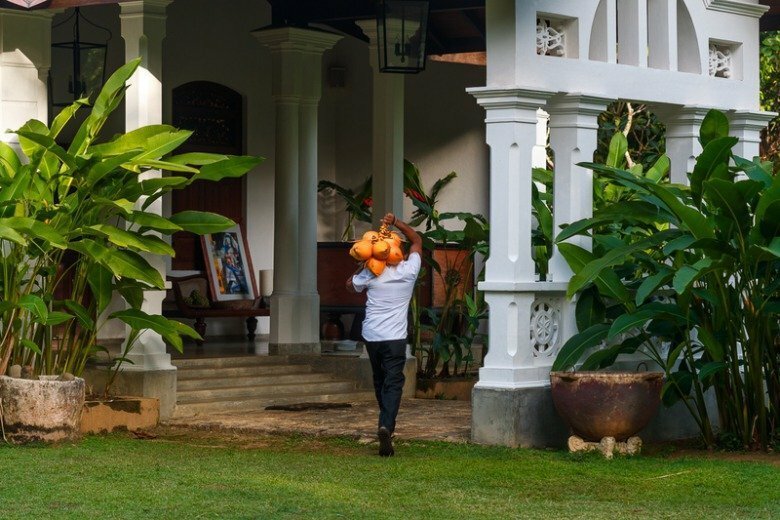 Once the main ‘port of call’ on the island, Galle reached the height of its development during Dutch rule in the 18th century. 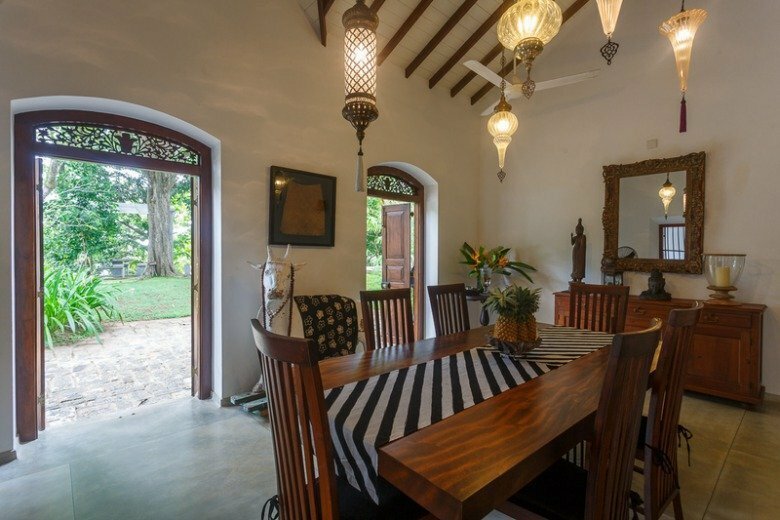 The historic Galle Fort is a world heritage site and testament to European architecture as it was built by the Portuguese in the 16th century and then fortified by the Dutch when they took over in the 17th Century. 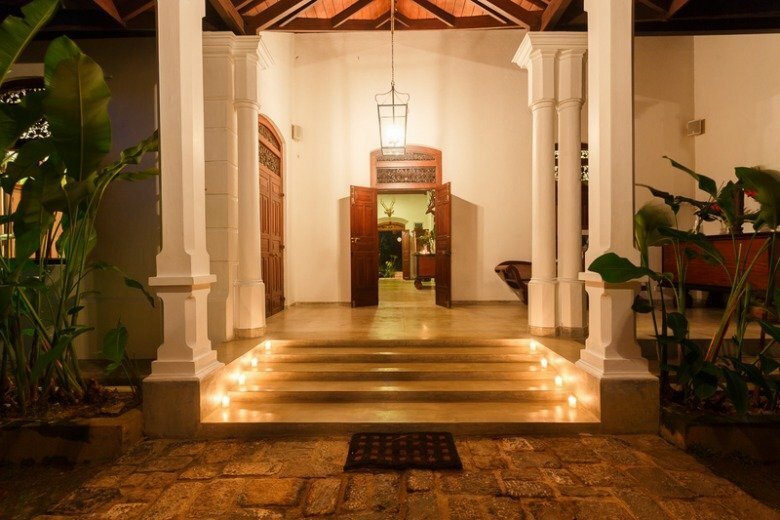 Museums, cathedrals and exquisite architecture await visitors in the city of Galle. 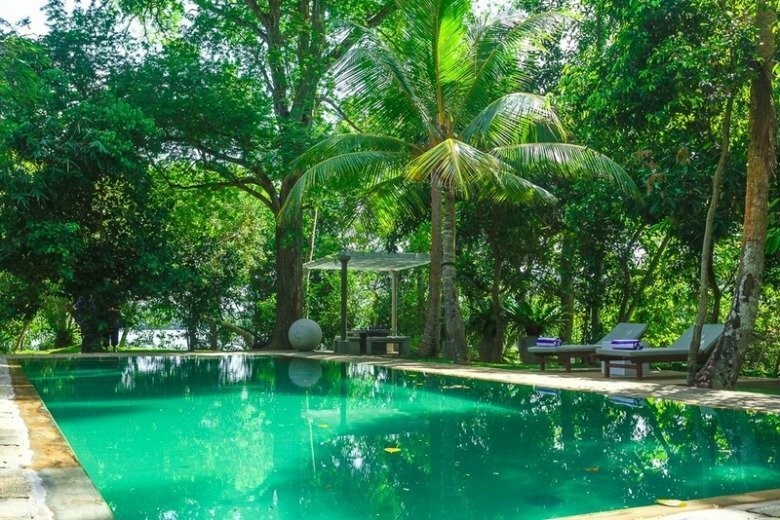 HIKKADUWA BEACHES: A three minute drive will take visitors to the town of Hikkaduwa, which is a bustling, seaside town where fun and entertainment happens around the clock. 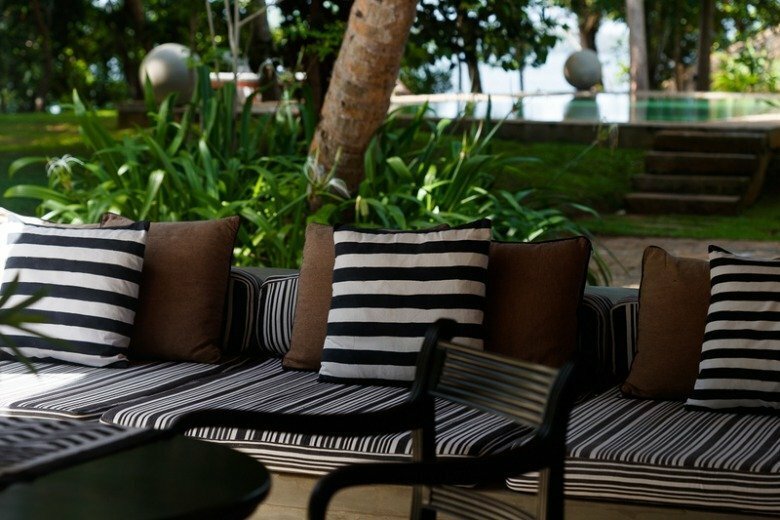 The beautiful, golden stretch of beach at Hikkaduwa is dotted with hotels, motels, restaurants, bars and night clubs so you could choose your mode of relaxation to unwind. 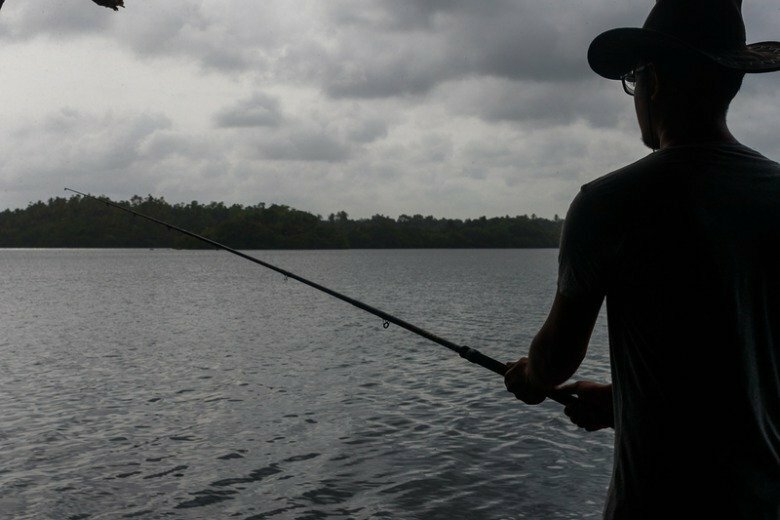 Other attractions include swimming, snorkelling, boat rides and shopping for souvenirs at the quaint little shops along the stretch.